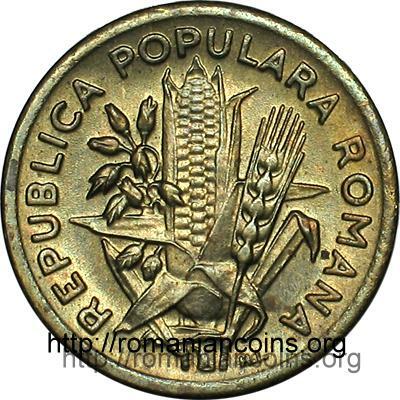 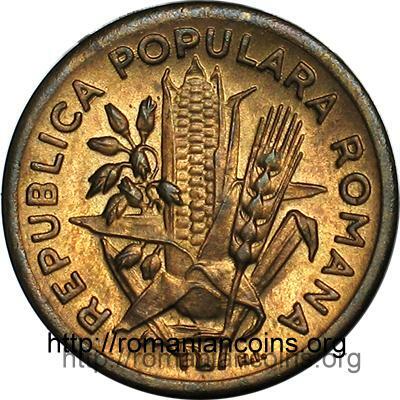 denomination "2 LEI" and year 1950 the inscription "REPUBLICA POPULARA ROMANA" meaning "ROMANIAN PEOPLE'S REPUBLIC", oat ear, corncob and wheat ear. 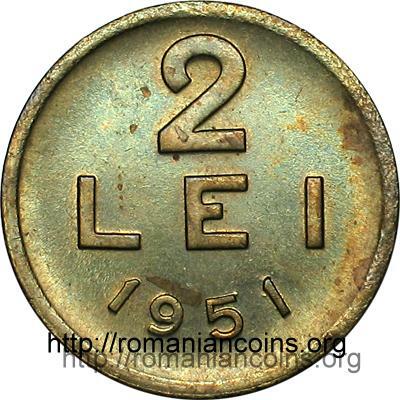 Along the rim in the lower obverse, somehow right, is placed H.I. 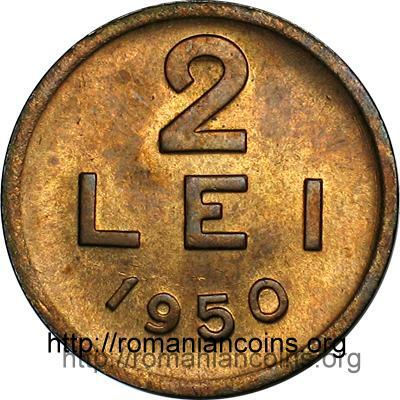 standing for Haralamb Ionescu, the engraver's name.